Perfection Now Offers Express Service! We all know that time is valuable, so Perfection Honda’s team is here to make sure your service experience is efficient and fast! 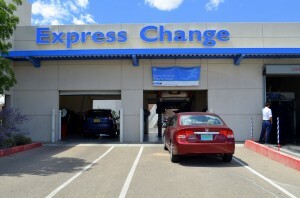 Our goal with Honda Express Service is to provide you with prompt attention from a dedicated Service Advisor to ensure you get in and out faster than a traditional service experience. With designated service bays and factory trained Honda technicians, Perfection Honda will make your experience faster and more convenient for the following services on a while-you-wait basis. For oil changes, and many of the services listed below, we can often get you on the road in 29 minutes or less! With Honda Express Service you can still depend on our award winning service, quality, and customer satisfaction now at the speed of your life! Call 505-221-5069 or use the buttons below to schedule an appointment!